Well, right about the time we’d expect, we’ve got rumors of a date for this year’s iPad announcement event. And that date is Thursday October 16, at least according to rumors reported by 9to5Mac and others yesterday. Now of course official invites have not yet gone out from Apple and we have also not seen the damn-near-official ‘Yep’ from Jim Dalrymple at The Loop – so take the 10/16 date with as many grains of salt as you fancy for now. One thing that seems to be the strong consensus view at the moment is that expectations are low for the new iPad announcements this year. The iPad event is said to be held on Apple’s own campus, rather than a bigger external venue like they had last month for the new iPhones launch. It also looks like the focus of the event will be split between new iPads, the new version of Mac OS X (Yosemite), and new Retina iMacs. the iPad update is expected to be minor — likely adding a gold option, Touch ID and an anti-reflective coating on the screen. We also haven’t heard much about the split-screen multitasking since it was left off the initial iOS 8 release. A ‘big’ wild card would be the 12.9-inch iPad Pro which has long been rumored for early 2015 but as we know from the Apple Watch, Tim Cook isn’t shy about announcing new categories early. 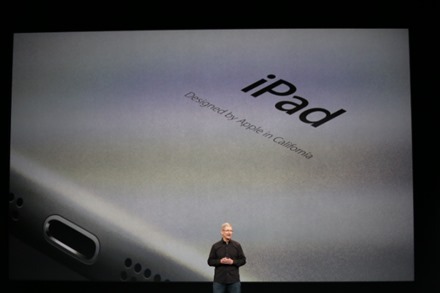 Obviously, I’m hopeful that Apple will exceed the low expectations in some way. Maybe by unveiling that bigger iPad Pro, or even with some unexpected new upgrades and features for the iPad Air and iPad mini.